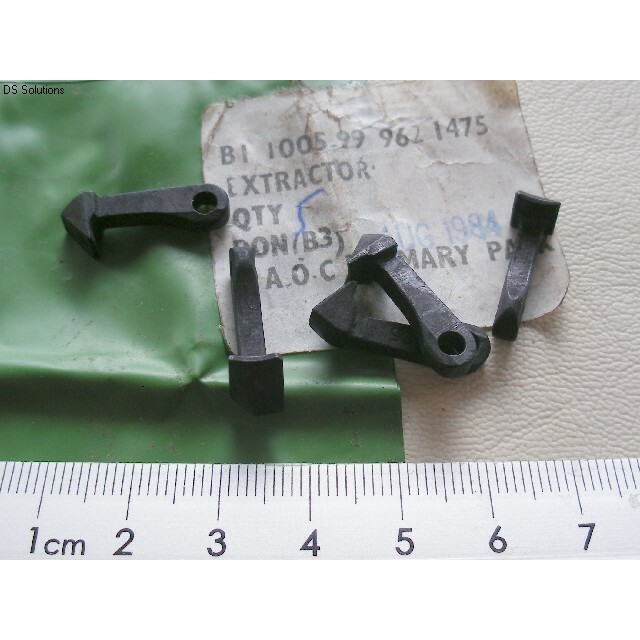 These are original 7.62mm NATO Extractor claws for all No4 Series Converted Rifles. 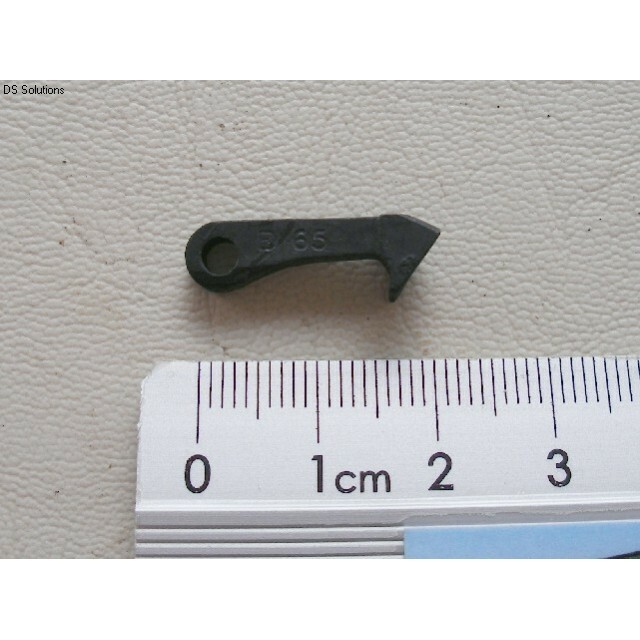 These extractors are for L42A1 Sniper Rifles, L39A1 Target Rifles, Envoy's and Enforcers as well as the original L8 Series of 7.62mm converted No4 Rifles. They are a direct replacement for .303" extractors and so can be fitted to No4 bolt heads without modification to either.They use standard No4 extractor springs and screws. The extractors are in new and unissued condition, and were found in their original stores packet, having been re-packaged last in 1984. The extractors are all marked with the ROF Enfield 'E in a D' logo and are dated 1965. Unit of sale; 1 Extractor claw.